3. 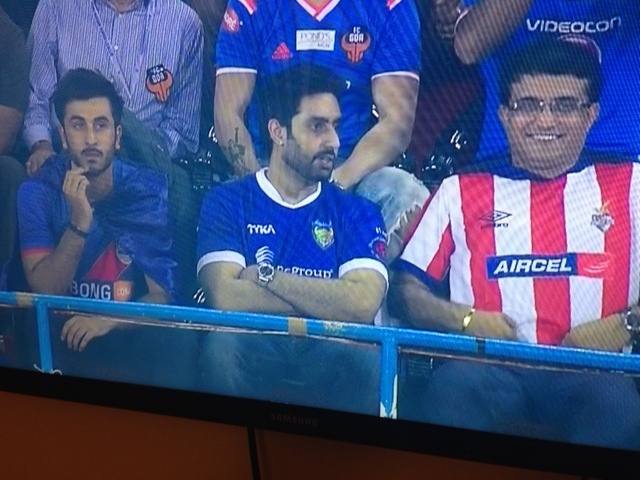 Nobody is really interested in what Abhishek Bachchan has to say. 5. 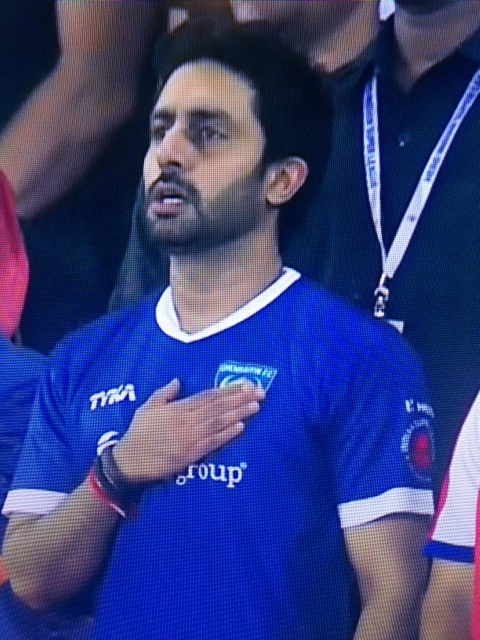 Abhishek Bachchan uses national anthems at these sports events to audition for acting jobs. 6. Nita Ambani was at a business conference with her husband during the FIFA World Cup in Brazil when she suddenly realised that every country has a team to support at the world cup, but not India. That made her very sad. That made her determined to do something about Football in the country. 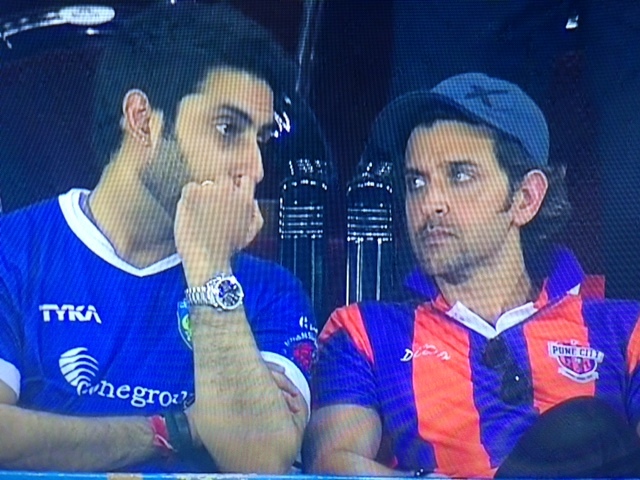 Hence, Hero ISL. 7. 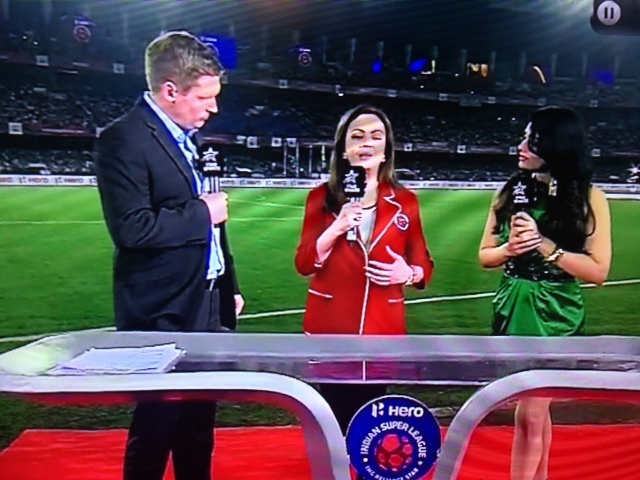 Nita Ambani is only interested in football development at the grass roots. 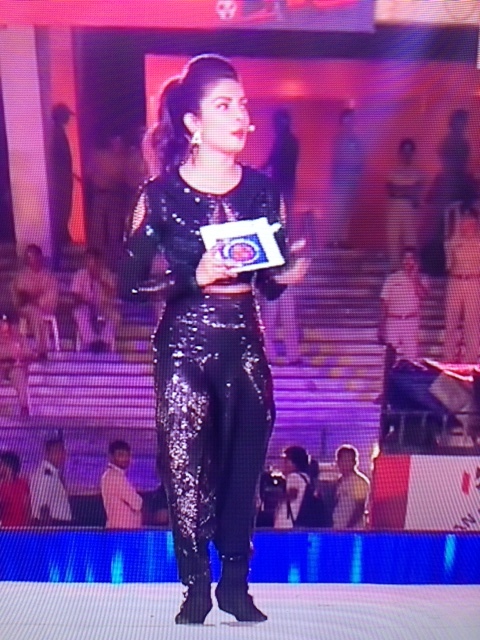 And, obviously, she thinks Hero ISL is grass roots development. 8. 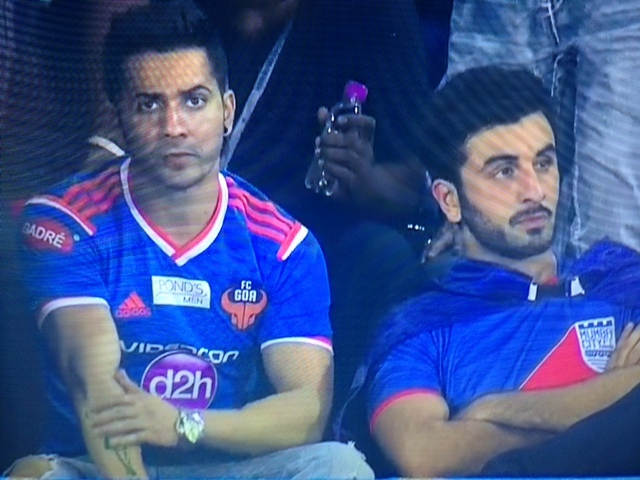 John Abraham is to Football what Navjot Sidhu is to comedy shows. 9. There’s someone called Varun Dhawan. 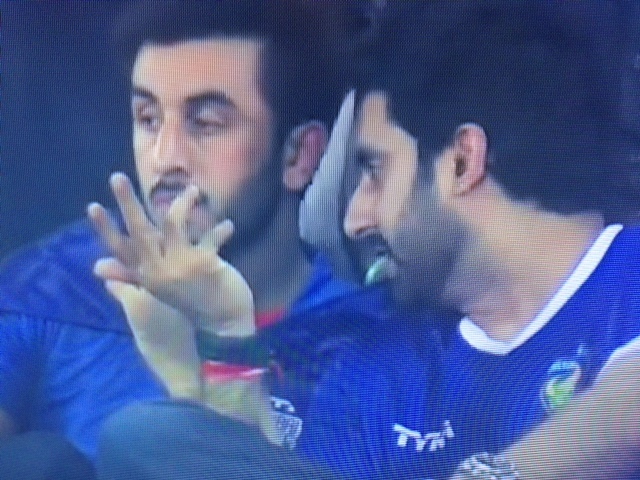 And Ranbir Kapoor doesn’t really like him. 10. 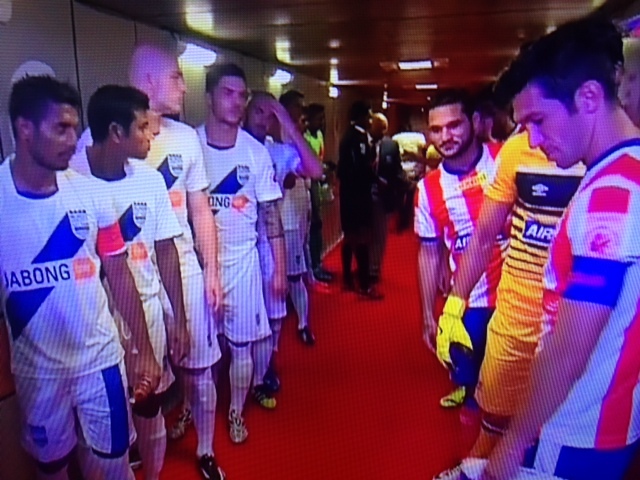 Even before a ball was kicked, Hero ISL had already set a world record. I thought I was the only one that caught the “First Lady” reference.